Nebraska Sandhills. Niobrara Scenic Riverway. 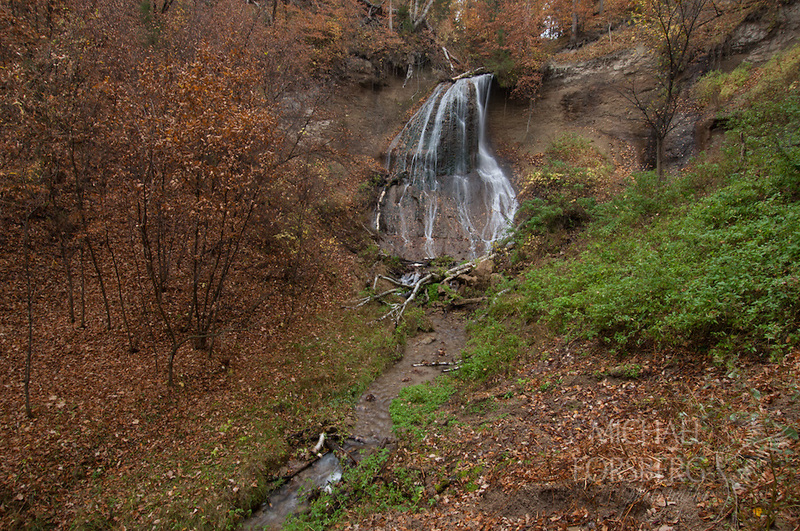 Waterfall spills out forming a springbranch canyon on the south side of the Niobrara river valley. The springbranch canyons are considered "pleistocene refugiums" for numerous plant species found hundreds of miles further north. The water is fed exclusively by groundwater from the Ogallala aquifer. This is one of 300 plus waterfalls and countless groundwater fed springs and seeps that exist along the riverway on the south bank, which roughly forms the northern border of the Sandhills.